Featuring massive mazes, spider-ific stickers, and fun foldouts, this book is the bee’s knees. 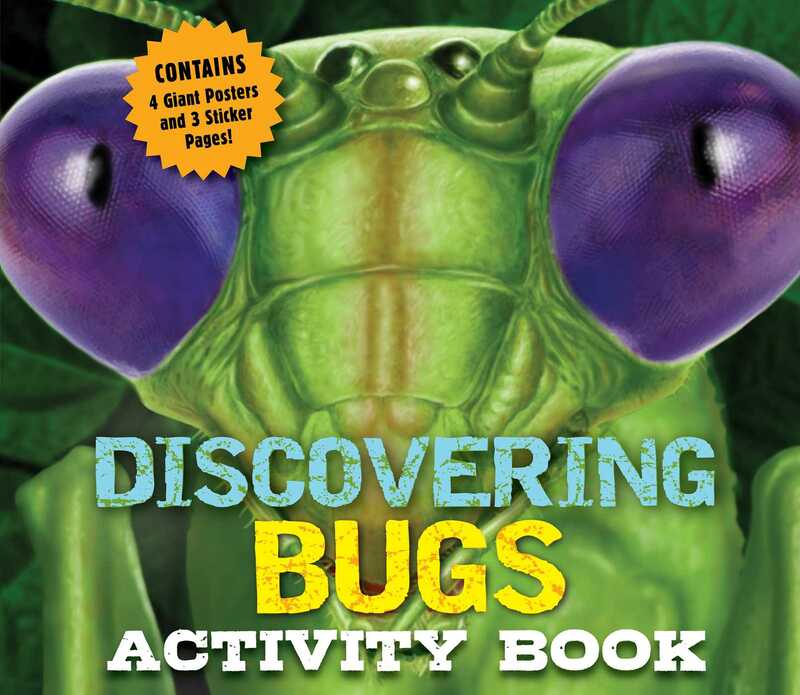 Exterminate boredom with the massive mazes, spider-ific stickers, and fun foldouts in the Discovering Bugs Activity Book. Thanks to scientifically sound information and detailed illustrations, this activity book is as educational as it is fun. Kids can embrace their inner artist with coloring pages bearing beautiful illustrations of bugs from around the world, and the Gooty Sapphire Tarantula on the stunning, tactile cover is guaranteed captivate (and terrify) readers of all ages. One thing’s for sure: the Discovering Bugs Activity Book is the bee’s knees.